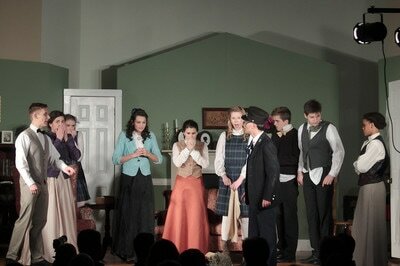 Each year, ALC’s elementary, middle school, and high school students stage a major dramatic production. ALC’s drama program is located within its educational vision of acquiring biblical wisdom. The educational goal of acquiring Biblical wisdom guides students toward possessing effective communication skills, possessing a keen sense of meaning and purpose, and participating meaningfully and responsibly within community. ALC’s drama program is one of several strategies designed toward promoting these ends. Effective communication is taught and practiced in a fun and entertaining way, meaning and purpose are spotlighted through themes conveyed by the story-lines, and community building occurs as students serve one another. 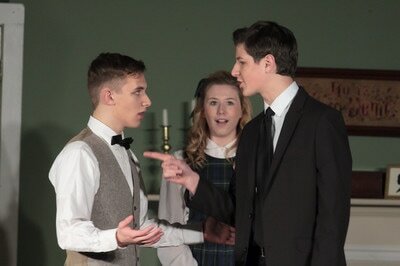 The high school play, in particular, is completely student-directed, from staging and blocking to costumes and props. The high school performances also include two dessert theaters – another opportunity for students to serve and strive for excellence. The high school choir is an elective that meets during the fall and spring semesters. During the fall semester, students train for and then lead the worship at ALC’s annual Christmas program. Middle school and elementary choirs join them for this concert. During the spring semester, they train for and then lead the worship at an annual performance at a nearby nursing home and at the ALC graduation program. In addition to honing their musical skills, the choir becomes another foundational stone in the community life of the high school students. Track and field is a great sport in which everyone can find a spot on the team and benefit from the exercise and competition. Elementary and middle school students compete in an end-of-school-year in-house track meet that includes the following events: 50m dash, 50m hurdles, 400m run, 400m relay, high jump, long jump, and softball throw. The upper middle school and high school students can opt to take their training one step further and compete in the annual Mid-Atlantic Christian School Association track and field championships. ALC teams consistently perform well at this meet; some ALC’s students still hold individual event records. Each year, ALC’s elementary, middle school, and high school students participate in two annual oral presentations. The upper elementary and lower middle school students prepare and deliver two speeches, one culminating each of the fall and spring semesters. Speech genres include oral story-telling, expository speeches, oral interpretation of literature, and more. Debate preparation is integrated with the research writing that occurs every spring semester. Debate topics focus on a resolution that is both relevant and tied thematically to the current year’s history course of study. For example, one high school resolution was: Resolved: In a democracy, civil disobedience is an appropriate weapon in the fight for justice. 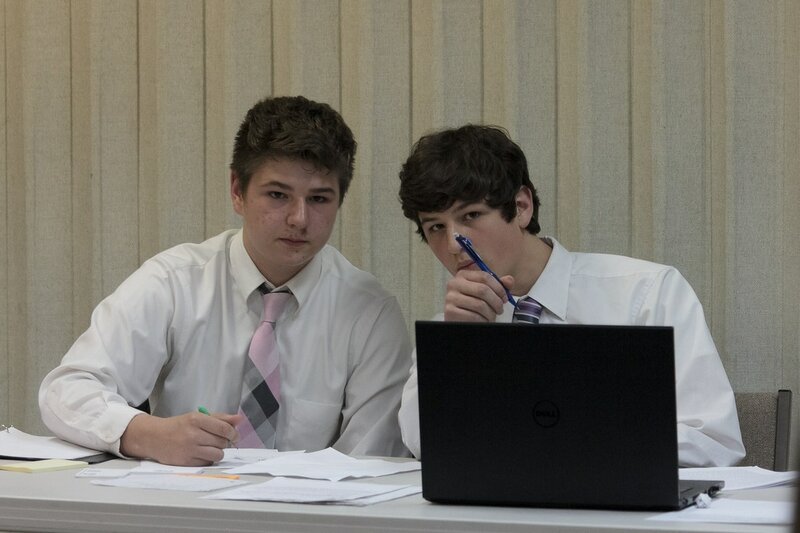 Students research the topic and come to the debate prepared to argue both sides of the resolution. Three weeks into the school year, the high school students participate in a three day retreat. Retreat locations change each year within a 4-year cycle, including Washington DC, New York City, Williamsburg, VA and Johnstown, PA. In addition to visiting historic sites and enjoying plenty of fun and fellowship, students focus on a spiritual theme that will serve as a rudder for the upcoming school year. It is also a time for the returning high school students to reconnect after the summer break and to welcome the incoming ninth grade students. The high school fall retreat is perhaps the key event in which students begin the process of intentional community building.